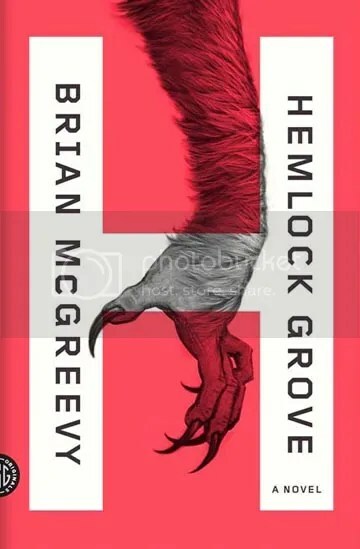 The body of a young girl is found mangled and murdered in the woods of Hemlock Grove, Pennsylvania, in the shadow of the abandoned Godfrey Steel mill. A manhunt ensues—though the authorities aren’t sure if it’s a man they should be looking for. Some suspect an escapee from the White Tower, a foreboding biotech facility owned by the Godfrey family—their personal fortune and the local economy having moved on from Pittsburgh steel—where, if rumors are true, biological experiments of the most unethical kind take place. Others turn to Peter Rumancek, a Gypsy trailer-trash kid who has told impressionable high school classmates that he’s a werewolf. Or perhaps it’s Roman, the son of the late JR Godfrey, who rules the adolescent social scene with the casual arrogance of a cold-blooded aristocrat, his superior status unquestioned despite his decidedly freakish sister, Shelley, whose monstrous medical conditions belie a sweet intelligence, and his otherworldly control freak of a mother, Olivia. I watched the tv show before I even knew it was a book, so one would assume that I have spoiled the book and all of its mystery, but that’s not completely true. I have only read about 100 pages and so far they are keeping more or less true to the book. However, the book tells us what the characters were thinking, while a televised version could never do that unless you have Sookie Stackhouse around. Their thoughts and even some of the backstory that the show left out are very interesting and give the characters a slightly different feel. For example, in the show, Peter is motivated in his quest to stop the murders by fear of being locked up s everyone suspects him, while in the book he is motivated by not only fear, but also pity. Anyway, onto the actually book! I haven’t finished it yet, but so far it is pretty good. It isn’t as confusing as the tv show, well at least not yet. Things are given more of an explanation in the book. The author can write very well, which is evident through his character Shelley who is mute but writes beautifully in her emails to her uncle. However, there are some points when he completely loses me and I have to reread the paragraph and figure out what he’s talking about. Some of his wording is awkward and there were a couple of words that I had to look up because I hadn’t the slightest idea what they meant. Also, the dialogue is weird to say the least. I didn’t think it overly realistic. The constant reference to Peter’s balls was a little awkward for me. I don’t have any, but I am pretty sure they aren’t supposed to be able to sense trouble. They are not supposed to have spidey sense! So far it’s a good read. I haven’t given up on it yet. We will see what happens. This entry was posted in 2013, Currently Reading and tagged Book Blog, book review, Brian McGreevy, Dreaming With Ink, Hemlock Grove, Horror, Michelle’s Paper Garden, Mystery, Paranormal by dreamingwithink. Bookmark the permalink.